The K2 VO2 100 X Pro inline skates are the high end fitness skates you've been looking for. Great for athletes looking for a solid training session or a fitness inline skater looking for a top of the line skate with all the bells and whistles, the K2 VO2 100 X Pro is the skate you want. When you pull up to the park you won't have a whole lot of time between parking and skating thanks to the K2 Speed Lacing System found on the K2 VO2 100 X Pro. This system utilizes a grab, pull and lock system which is quick and effective both for putting on, and for taking off the skates. To give you the best cornering and top speed combination, the K2 VO2 100 X Pro offers K2's Performance Hi-Lo Frame which puts two 90mm wheels in the front and two 100mm wheels in the rear of the skate. This will help you get up to speed quick, corner easier, as well as maintain a top speed when skating. When you're out skating you will notice a nice flow of air going through your skates thanks to the Vortech Ventilation System which pulls out the stale air and forces fresh air through. I hadn't skated in years and these are phenomenal - ride very smooth over relatively poor pavement even. I'm in terrible shape and these make it fun to exercise. I routinely do 10-12 miles in these at a time and extremely comfortable. These are the best things I have ever put on my feet. They took three (short) sessions to break in and now they are perfect, fast, manuverable and super comfortable. It's been a while since I have done any skating but getting back into it has been awesome with these skates. Q: Does your skates run in wide? I originally wear an 11 w/ flat feet. Would an 11.5 help? 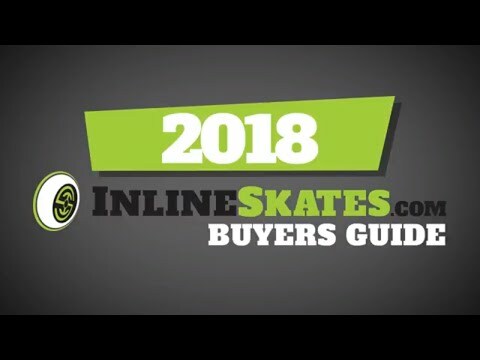 A: Currently no skate manufacturer makes a wide version of their skates. Going a 1/2 size larger is a good idea for a wide foot as it gives you enough room to add in an aftermarket footbed or a heel lift. I've had success fitting wide foot skaters with a heel lift in their skates, a heel lift will lift your foot up in the skate alleviating some side to side pressure. Please also note it can take a skate a few times skating with them to fully break in. Q: If I normally wear a size 11 shoe that has some toe room in the front and is loose on the side, what is the best size skate to get for this pair? A: The K2 VO2 100 X Pro is going to fit the same as your everyday shoe size so if your shoe size is 11 you should take this skate in the same size. 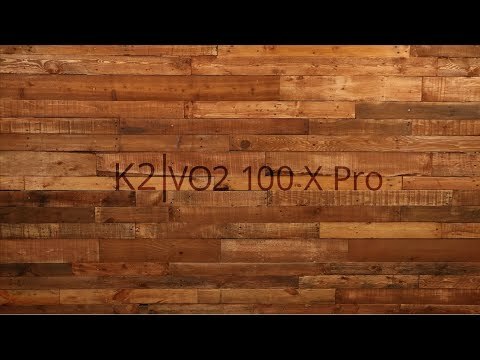 Q: K2 V02 100 X PRO - FITNESS SKATES - Was ist das maximum an Gewicht für die Nutzung des Schuhes ? A: Das maximale Gewicht f¼r den K2 VO2 100 X Pro betrgt 220 Pfund. Q: Men's or women's sizing? A: We have men's and women's specific skates in stock, this is a men's skate and is sized in men's US sizing. Q: Can the brake be removed?